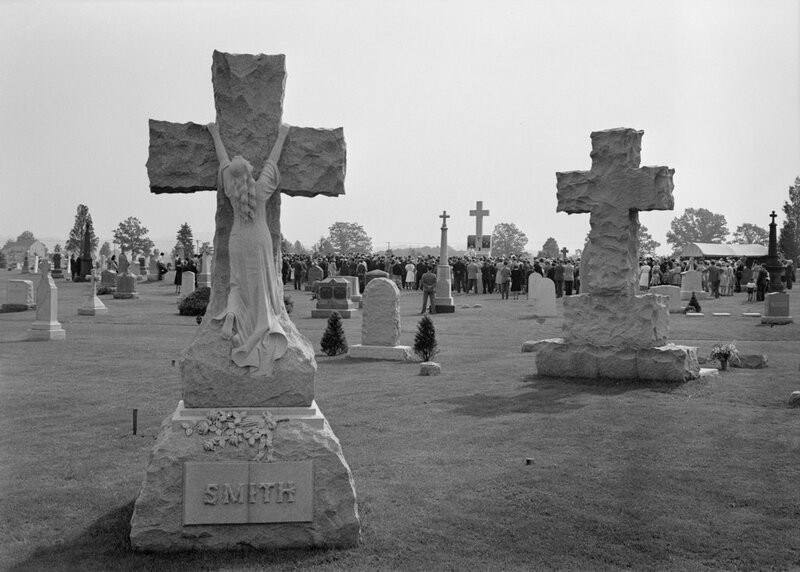 Another photo of the All Souls’ Day Mass in Southington’s Saint Thomas Cemetery, in May 1942. Image courtesy of the Library of Congress, FSA-OWI Collection. As seen in the previous two posts, photographer Charles Fenno Jacobs took a number of photos of the All Souls’ Day Mass. This event probably had a special significance for those attending; it was right around Memorial Day, and some perhaps had already lost a loved one in the war. Many of the others certainly would have had a son, grandson, brother, or husband serving in the military, and although they wouldn’t have known how long the war would last, it would end up being over three years before it ended. Today, this section of the cemetery has hardly changed. 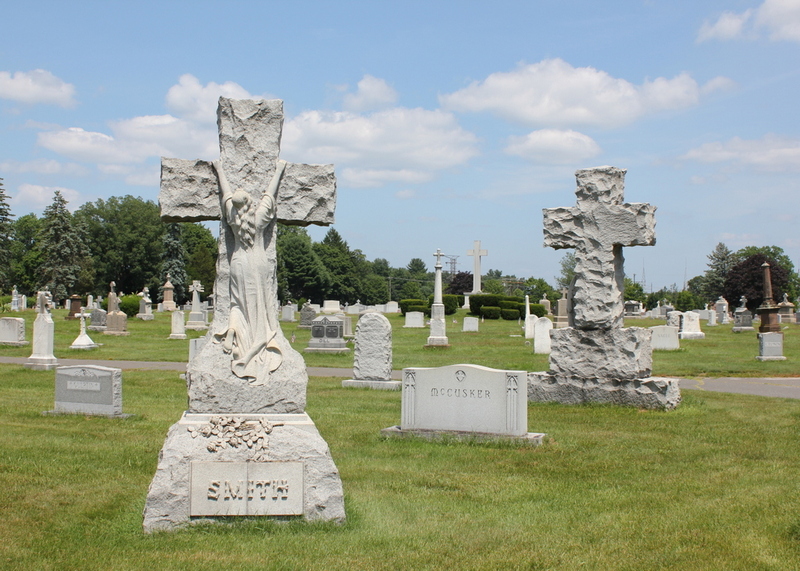 The two large crosses that Jacobs used to frame his 1942 shot look the same, and the only obvious difference – aside from the lack of people – is the addition of a few more headstones in the foreground.